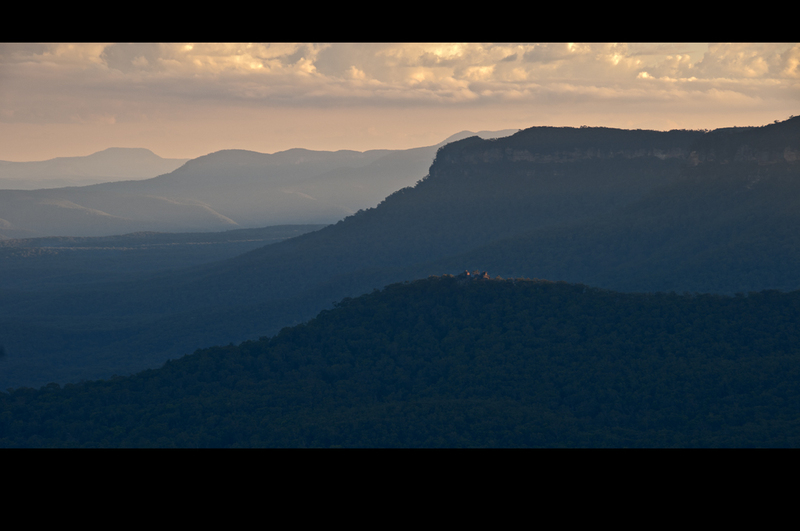 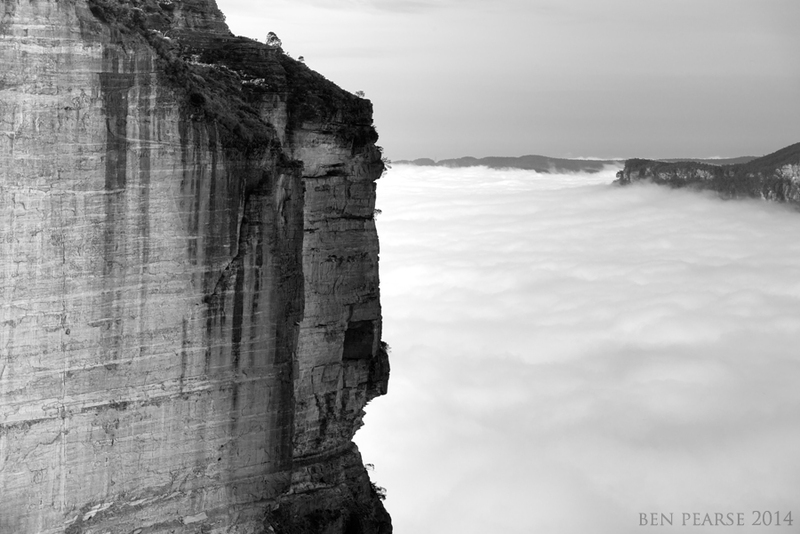 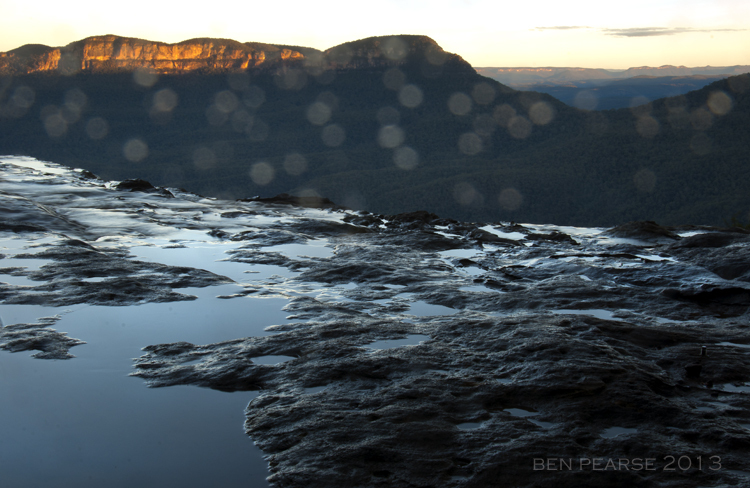 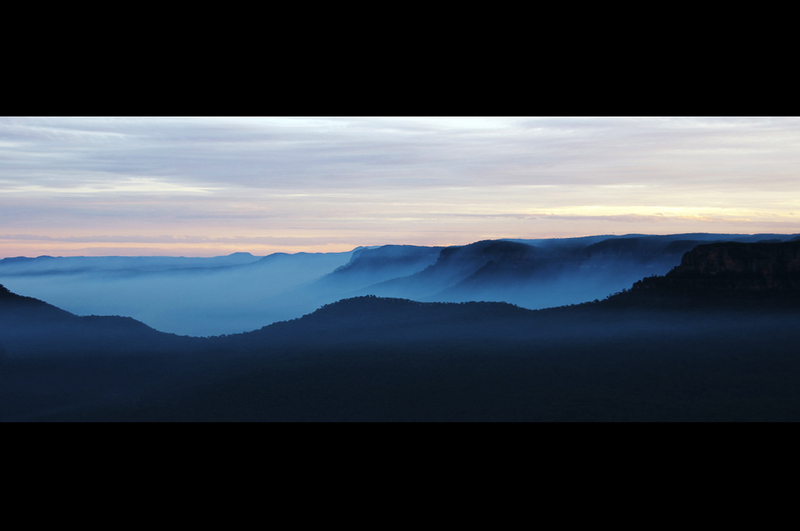 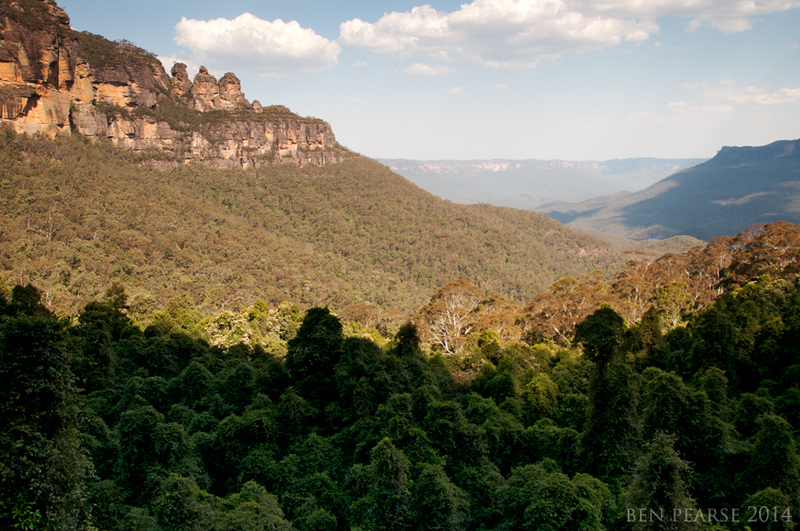 If I had to name one, if not my favourite, all time locations in the Blue Mountains it would have to be Narrowneck plateau in Katoomba, NSW, Australia. 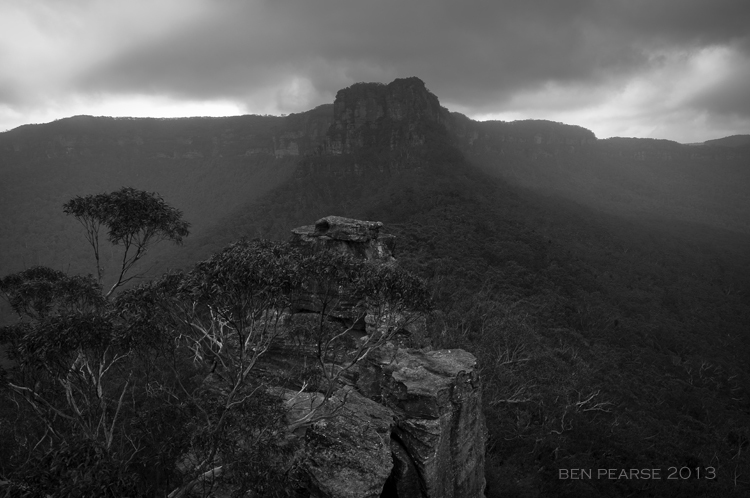 I was first introduced to the this area, along with my brother Simon, some 25 years ago when we first started rock climbing in the area. 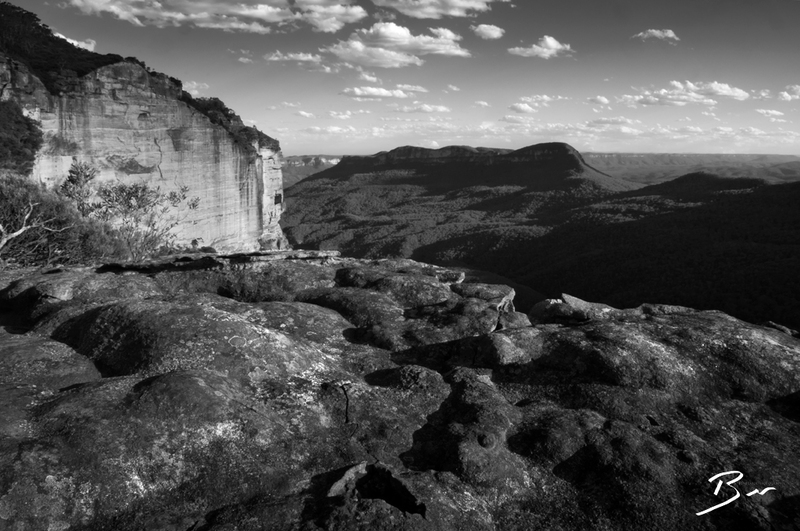 As young enthusiastic teenagers we use to spend all weekend, cutting our teeth, on the magnificent sandstone walls of this area. 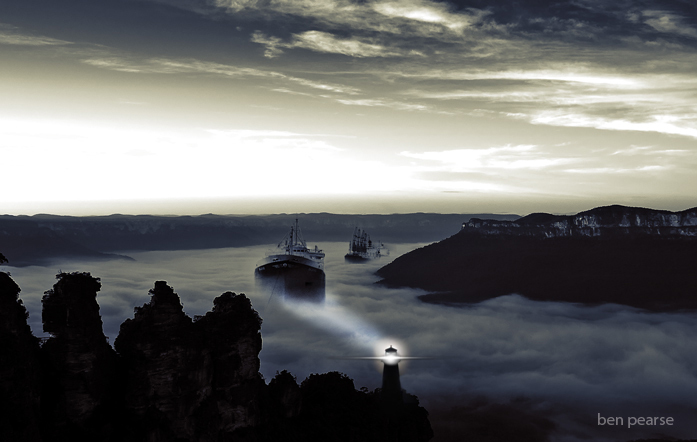 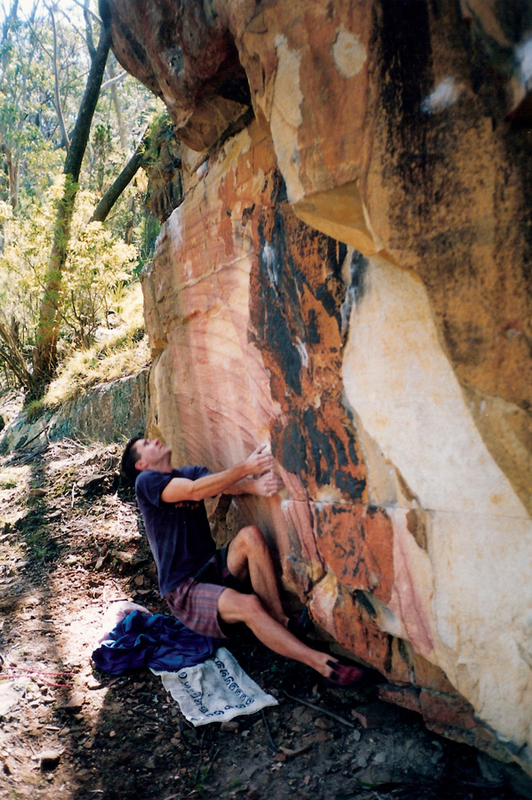 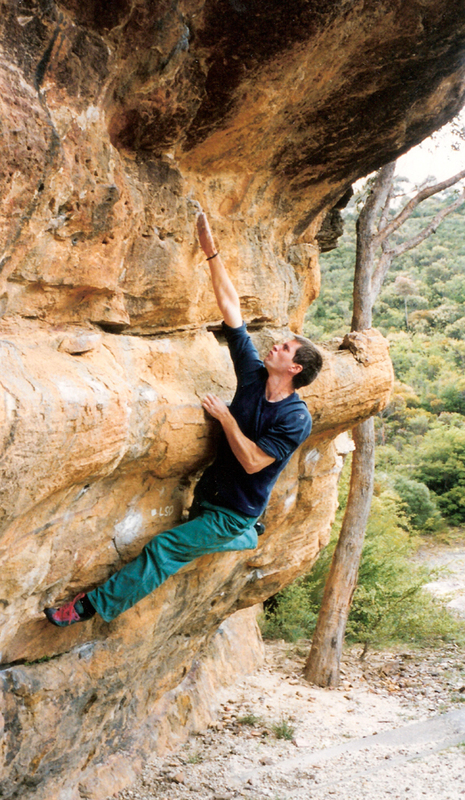 Climbing would envelop our life for the next 10+ years, without much room for much else….. 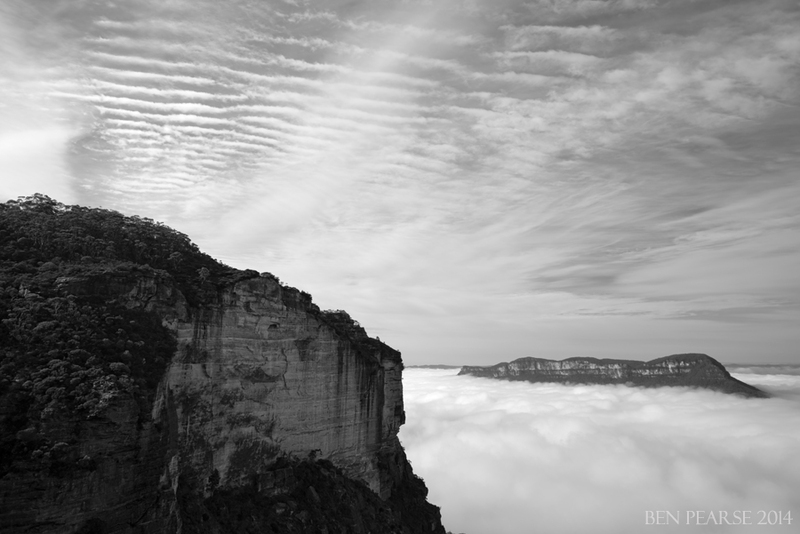 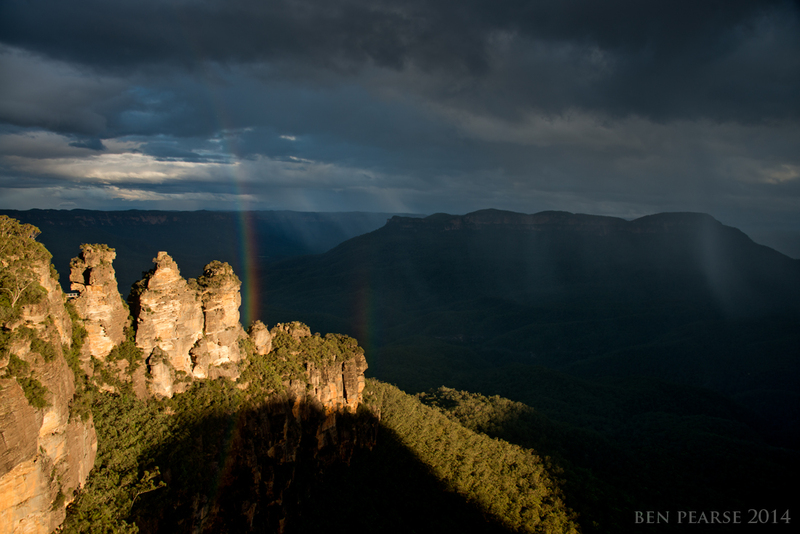 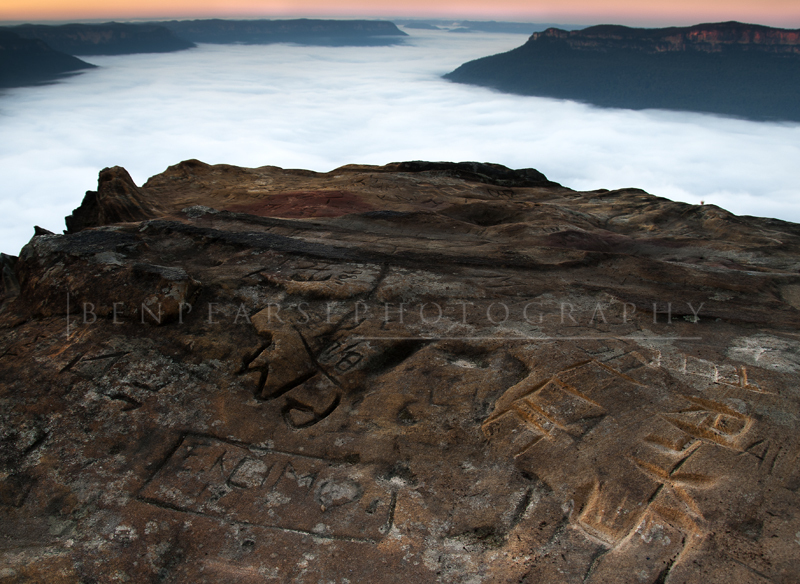 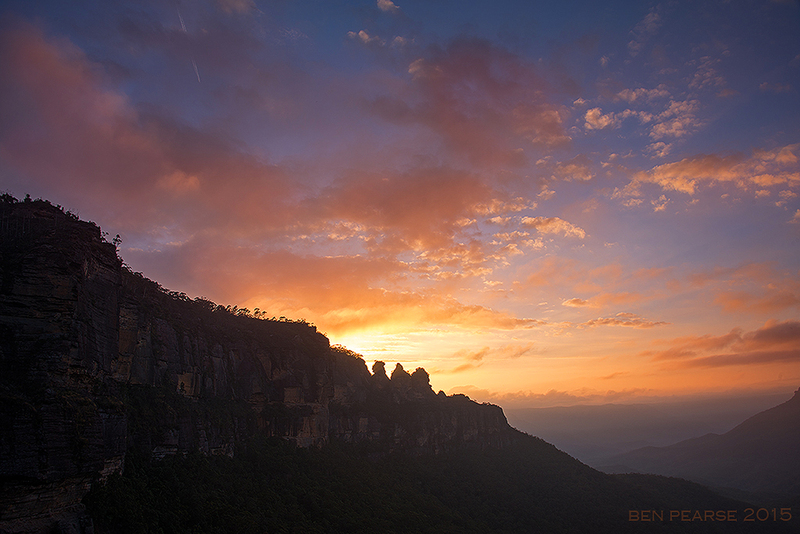 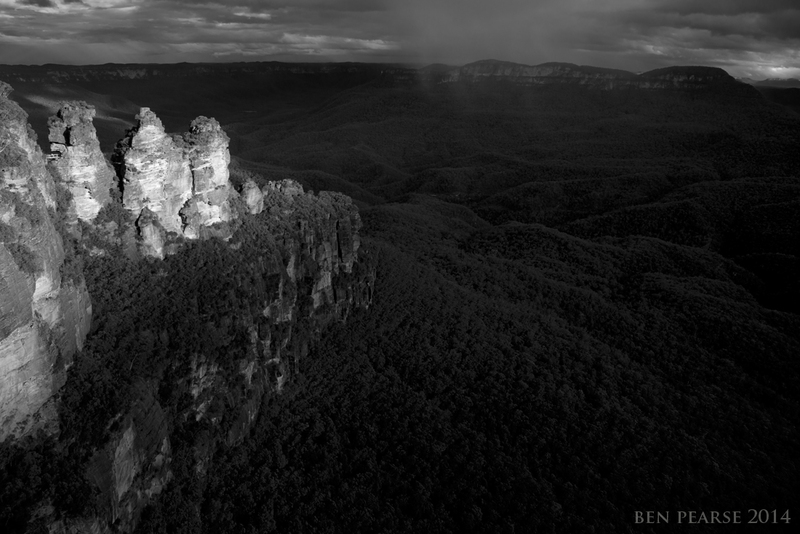 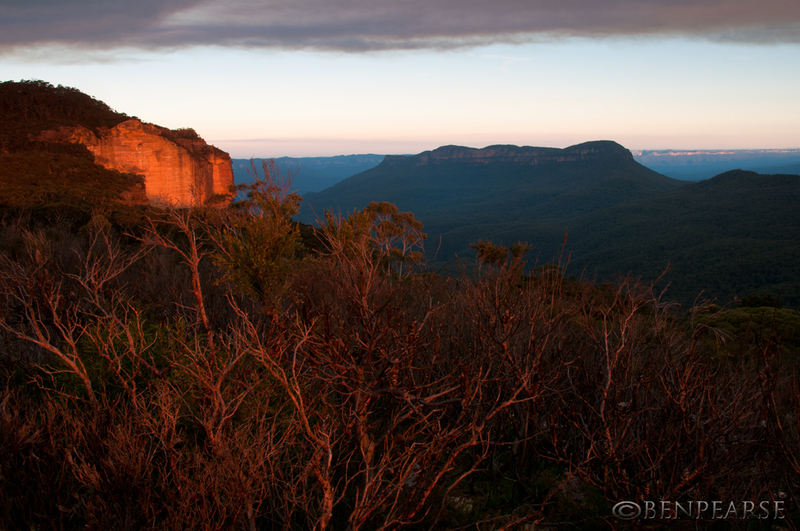 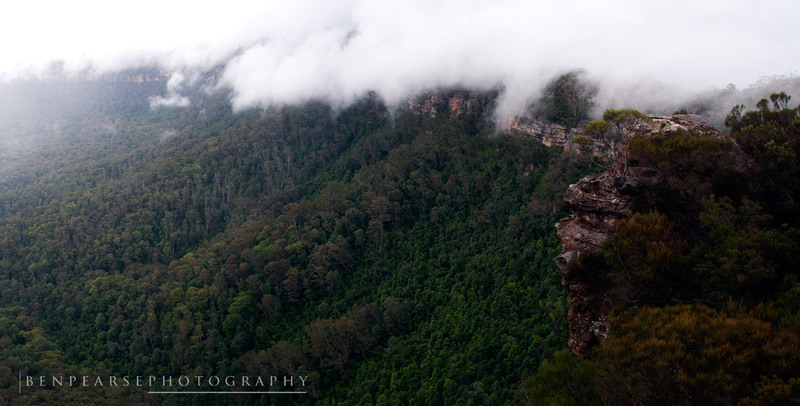 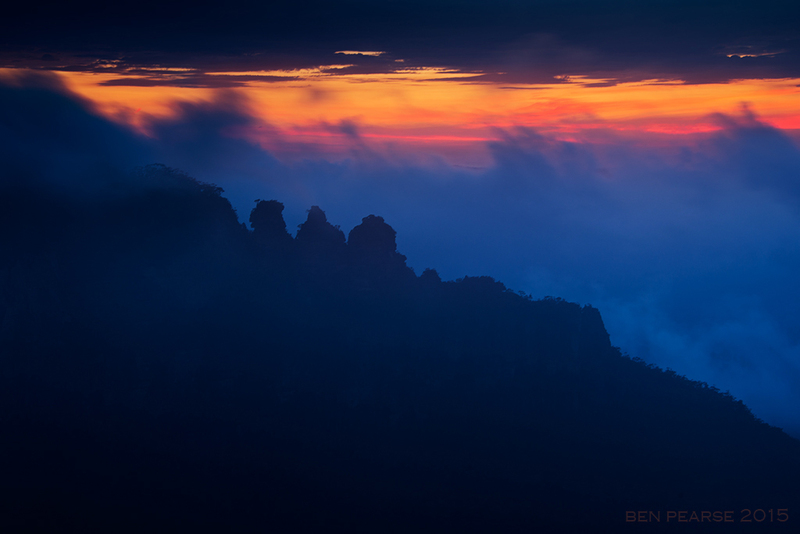 The ruined castle is a popular and distinct sandstone rock outcrop in the Jamison valley within the World Heritage Blue Mountains, Katoomba, Australia. 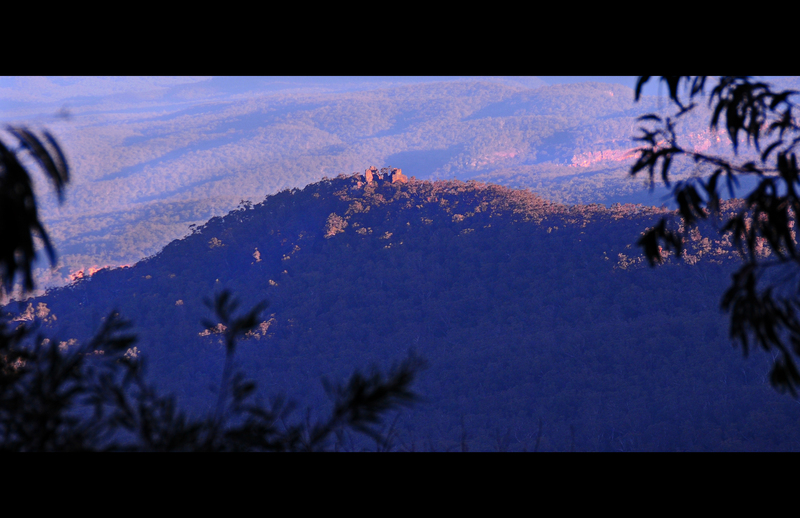 I have ventured out there for a walk on numerous occasions and also camped within the ruins many moons ago. 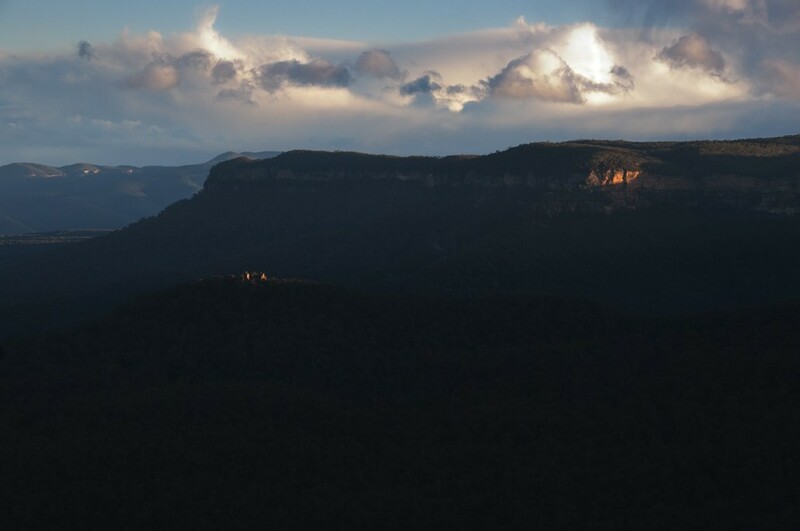 A great sight of this wonderful sandstone structure is to witness the last sunrays falling across the castle in the jamison valley on sunset. 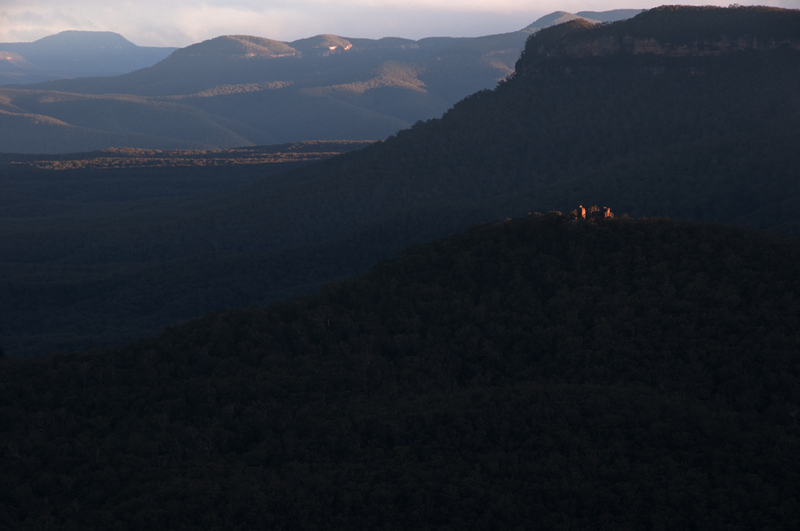 I have often stood at a lookout watching the last rays of the day lighting the sandstone walls of the castle walls. 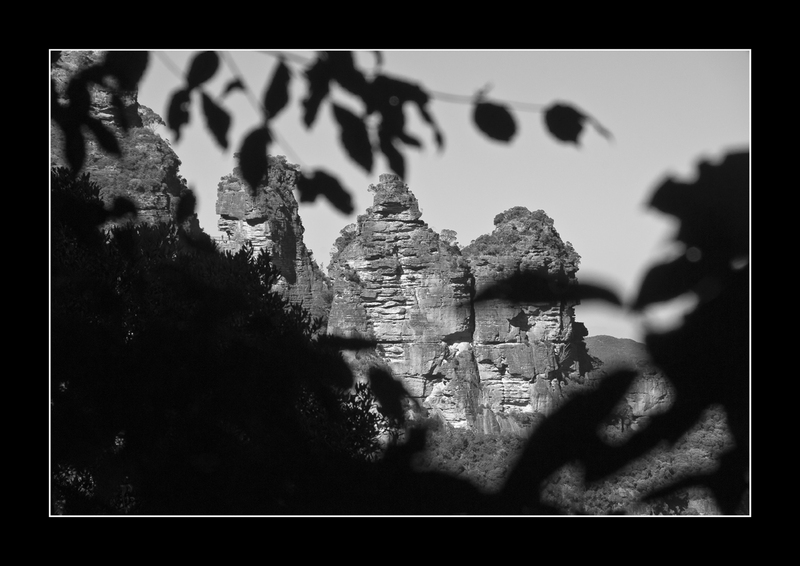 I’m guessing that it got it’s name, as it appeared, “castle like” to somebody walking through the area some time ago and in which they probably said something along the lines like, “Hey, don’t you think that looks like a castl, you know, like a ruined one”! 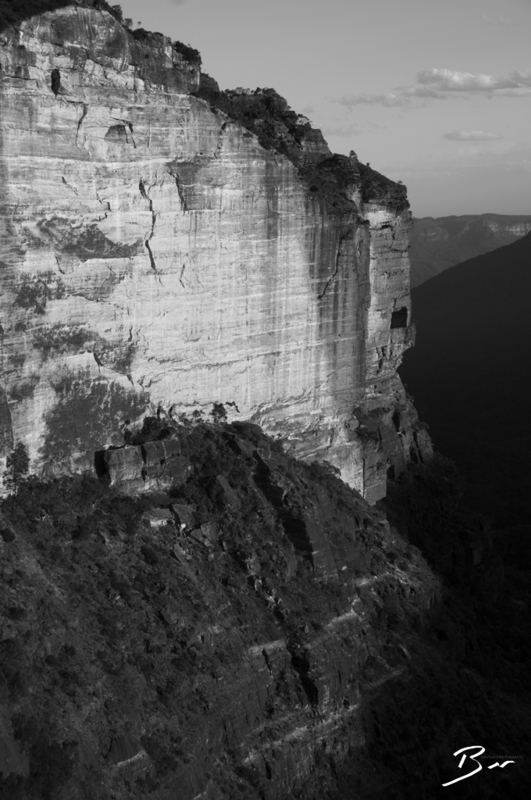 I’m sure this is totally incorrect, but it will do for now and if you need to know, I’m sure google has the answer somewhere….. 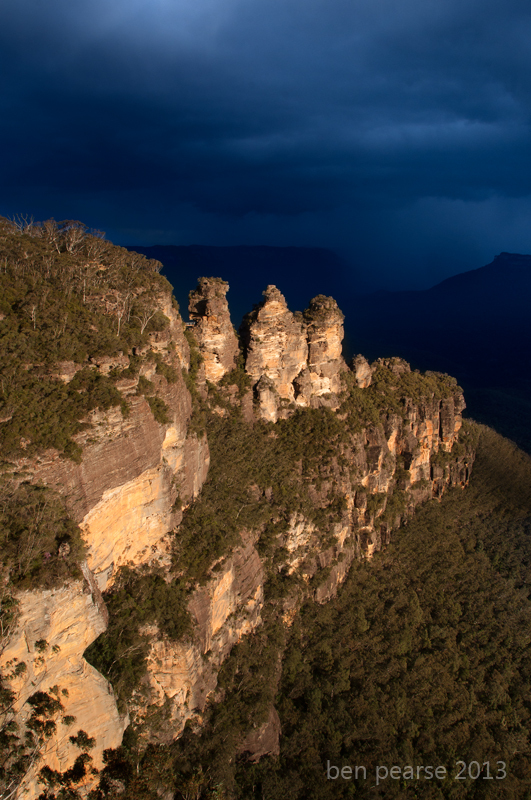 If you do find yourself in the area and you have a few hours in which you’d like to get your heartrate up a little and be rewarded with a beautiful 360 degree view at the end, then this just might be for you. 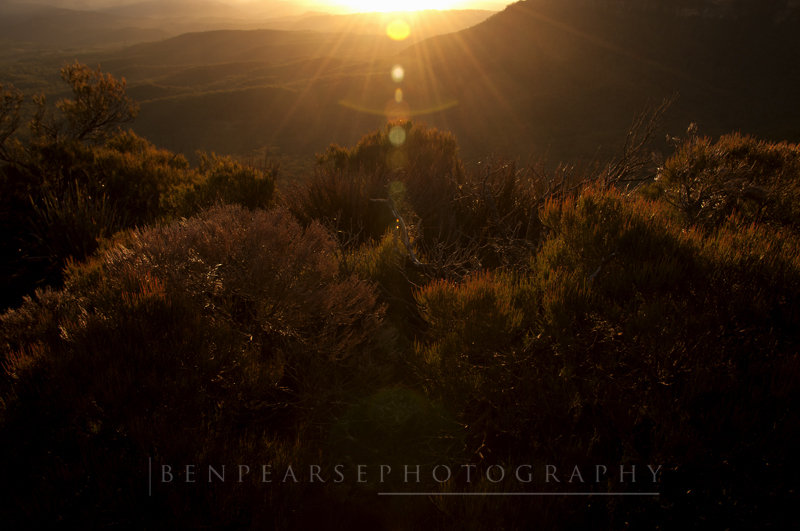 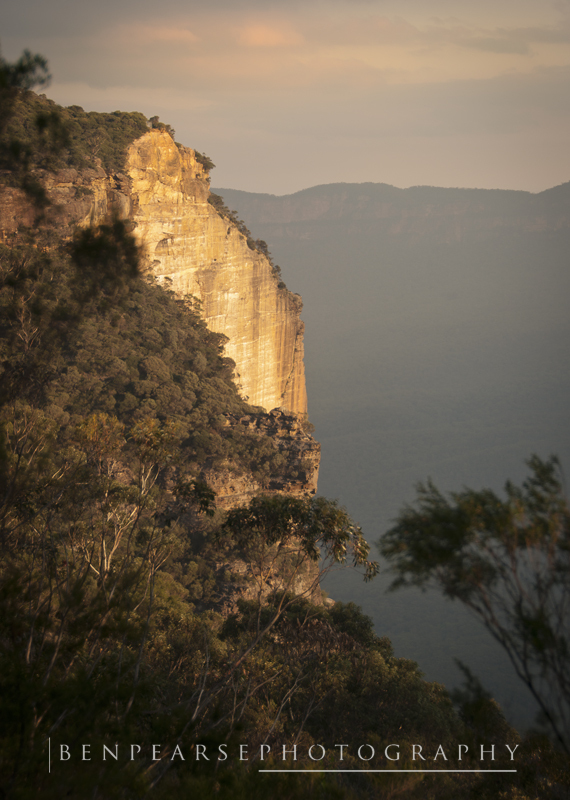 A great way to get there is to descend the golden stairs off the Narrowneck plateau. 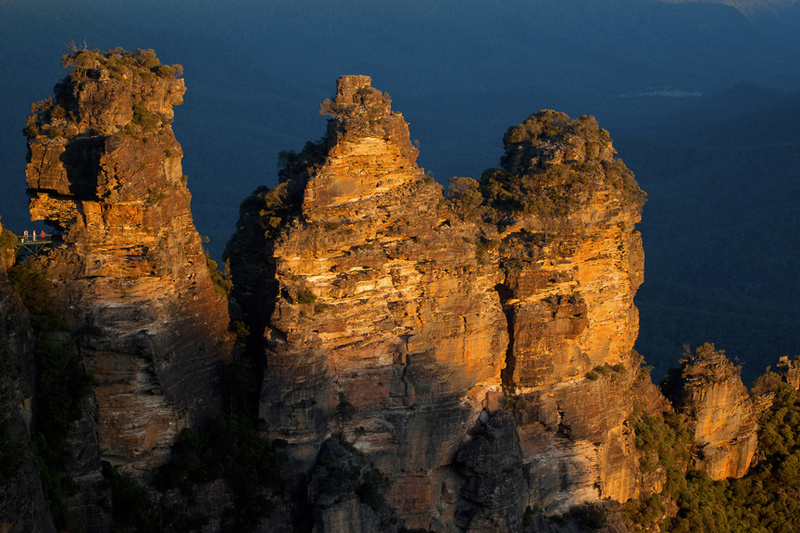 If however you would just like to admire it from the distance like the many thousands of tourist each year, then Echo Point in Katoomba is a great vantage point for this spectacular Blue Mountains landmark. 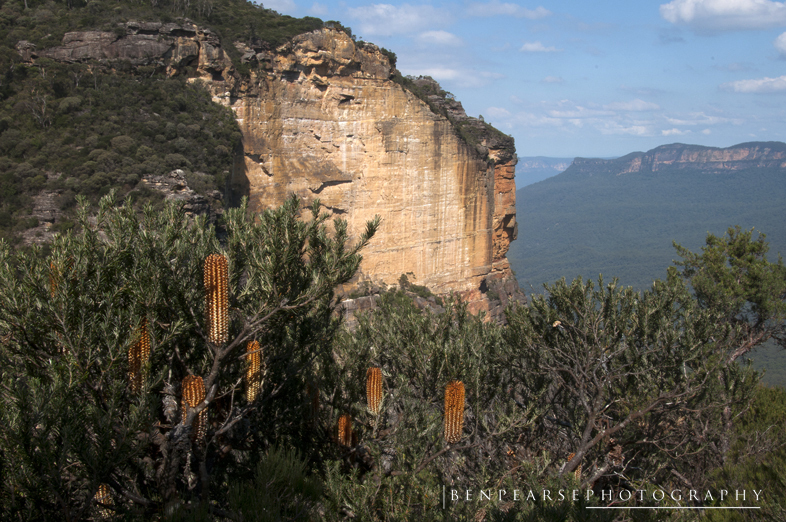 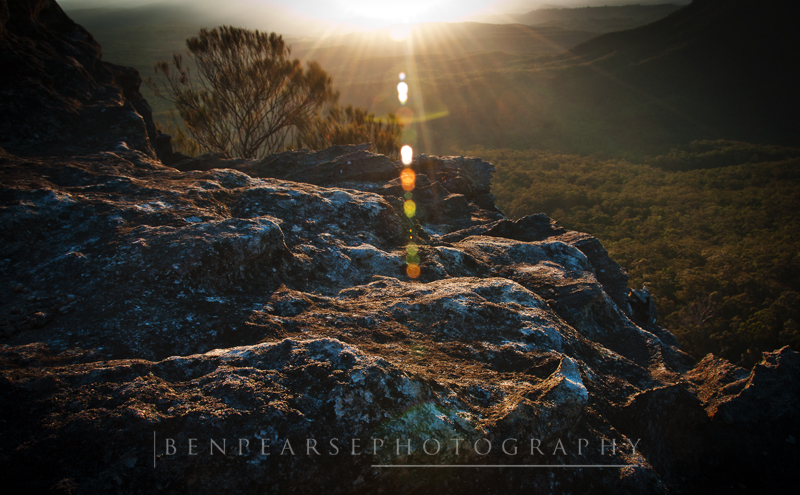 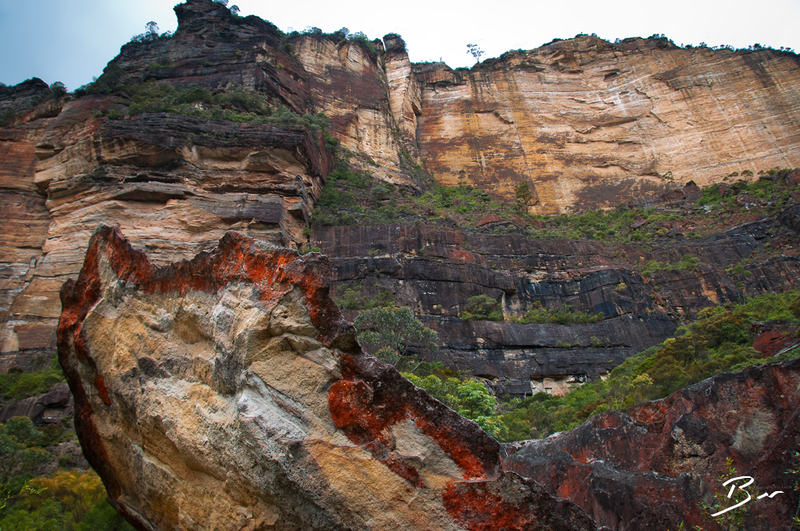 I hope you find time in your week to get outdoors to explore…..
Mount Solitary is a dominant sandstone formation that rises 950 metres from within the jamison valley in the world heritage listed, Blue Mountains, Australia. 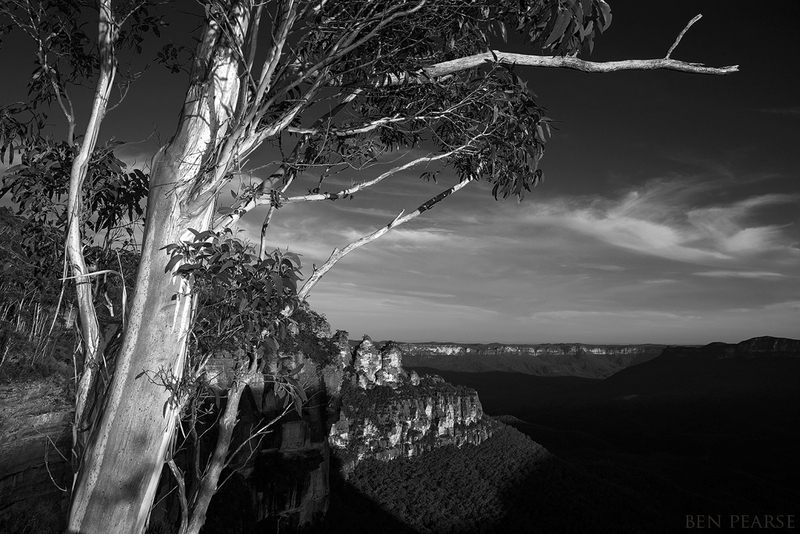 Surrounded by a sea of Australian native eucalyptus trees the local indigenous people called the mountain Korowal, meaning ‘the strong one’. 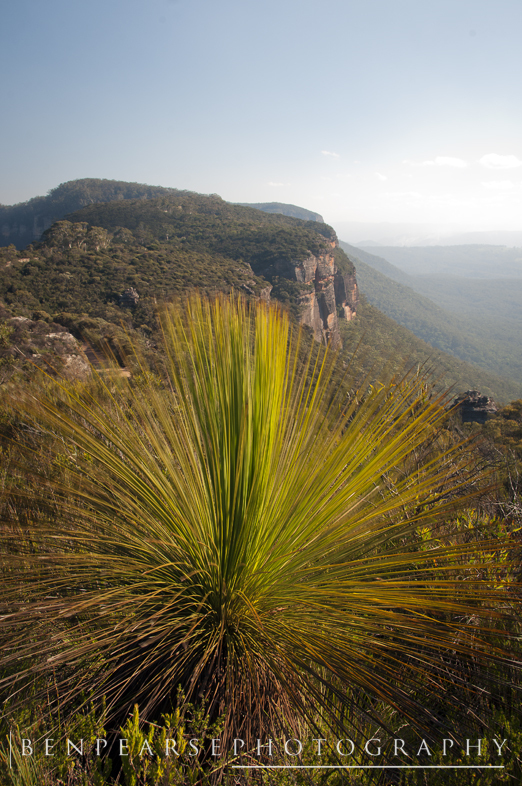 You can take a hike to the top of the summit, though you might want to take your best set of legs for this one as it’s pretty arduous….hard, steep, bit of a slog….you get the idea. 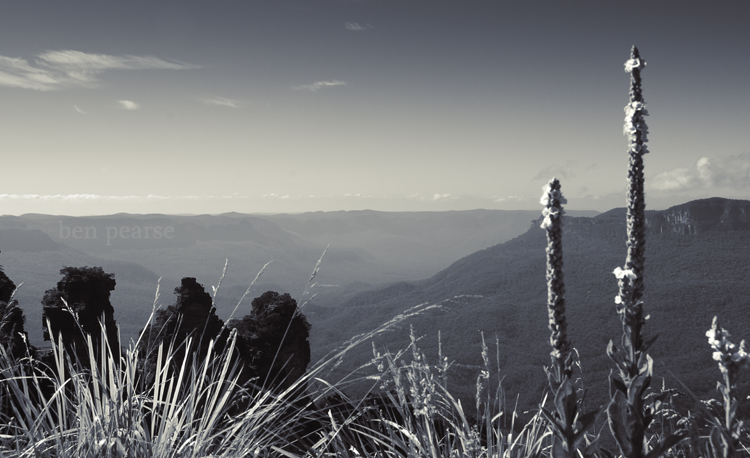 Though if you do manage to get up there the views are well worth the sweat. 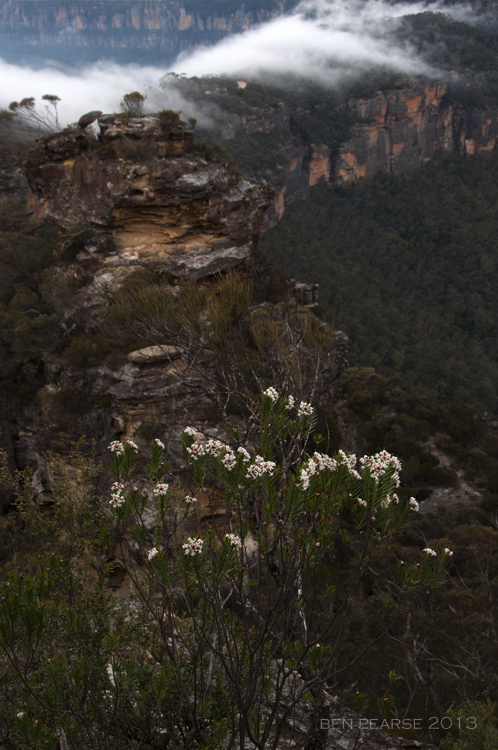 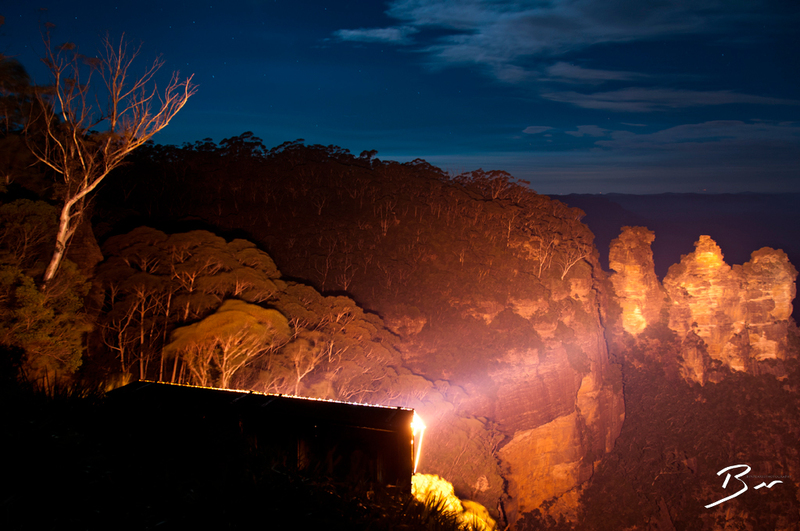 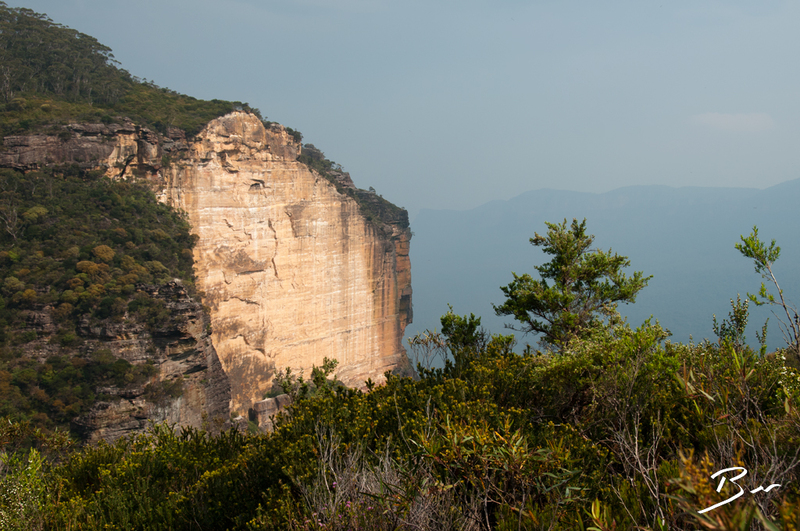 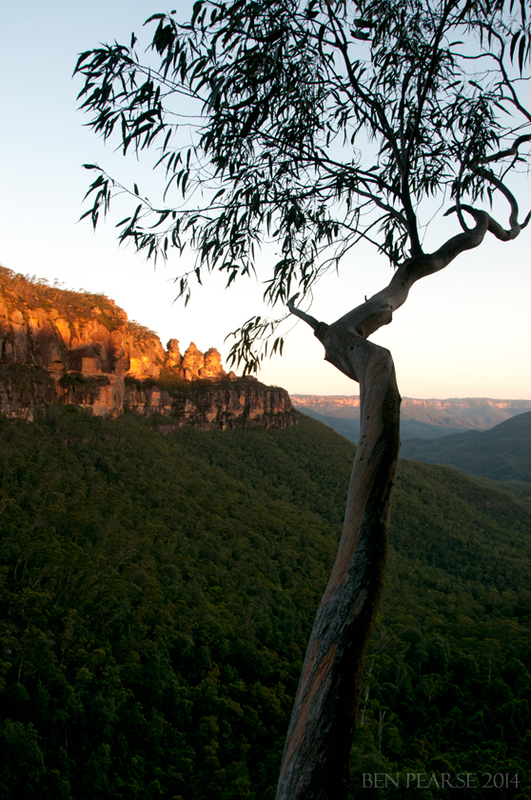 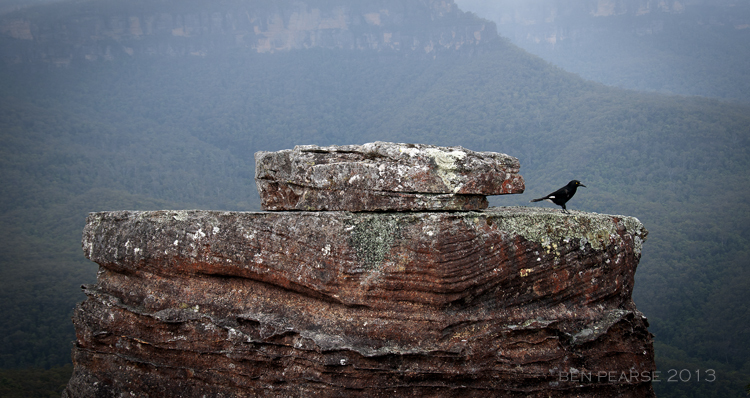 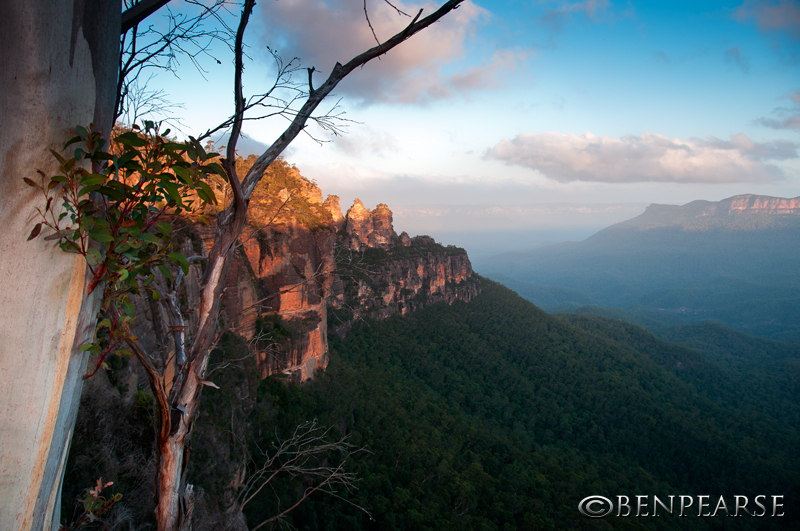 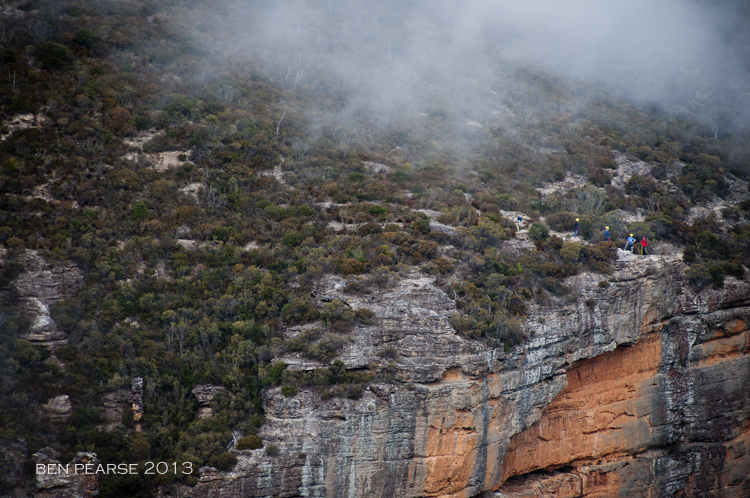 One of the best spots to view Mount Solitary from is the viewing platforms at Echo Point. 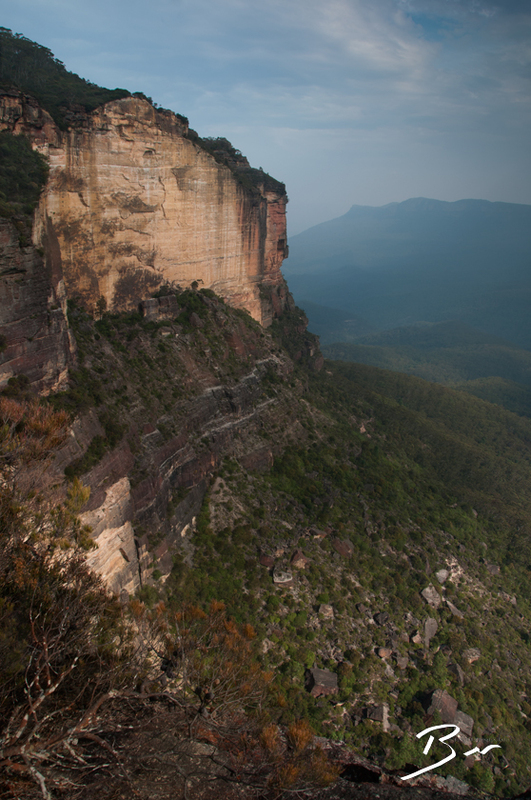 From here you are literally right in front of this majestic sandstone formation rising steeply from within the valley. 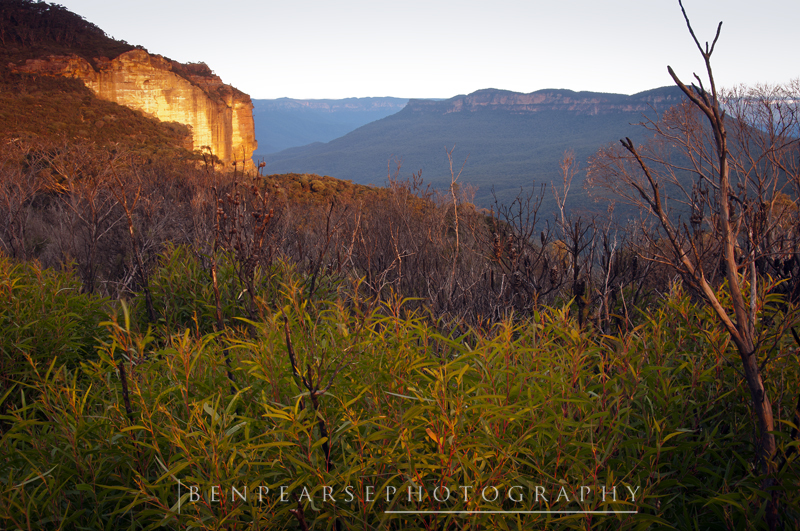 In the late afternoon you can watch the sandstone turn a beautiful orange/ red as the last sunrays fade across the valley. 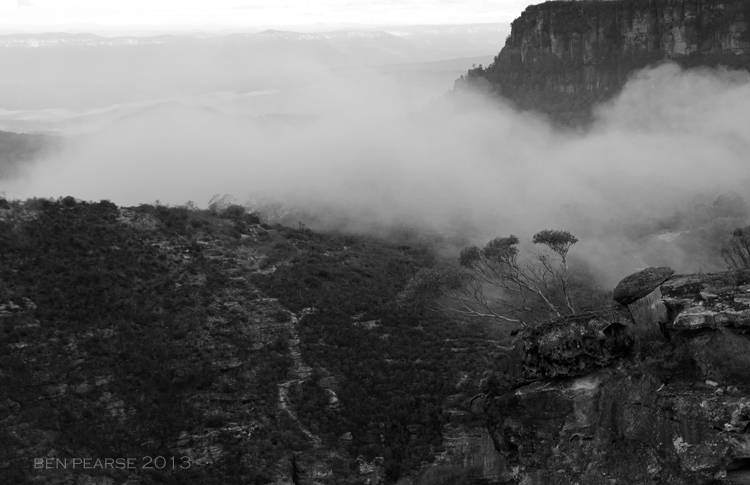 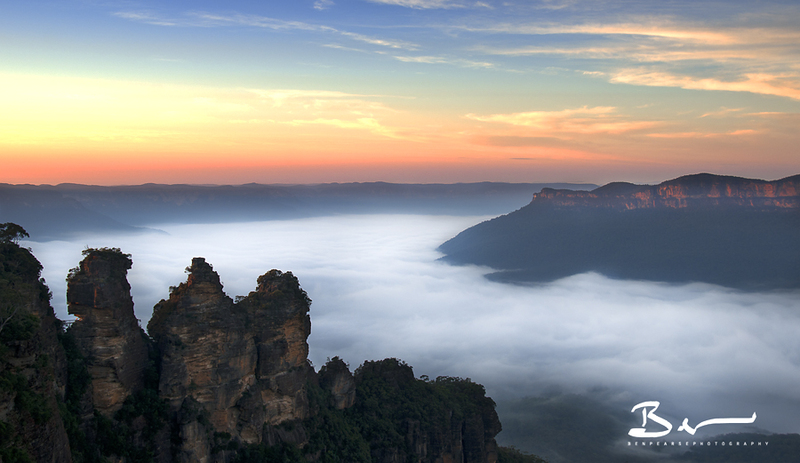 On the mornings when the fog is still in the valley, Mount Solitary is one of the few distinct landmarks to be seen rising out of the white sea of fog. 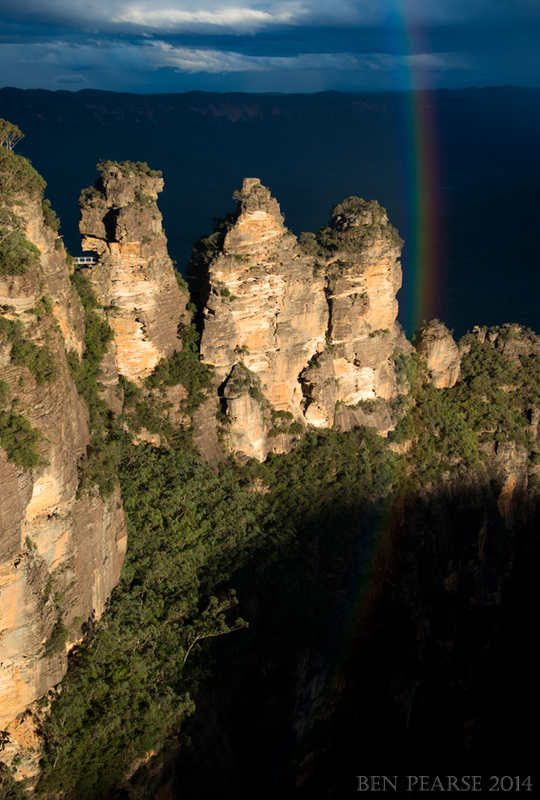 So if you are in the area go and have a look at this wonderful natural landmark, it won’t disappoint. 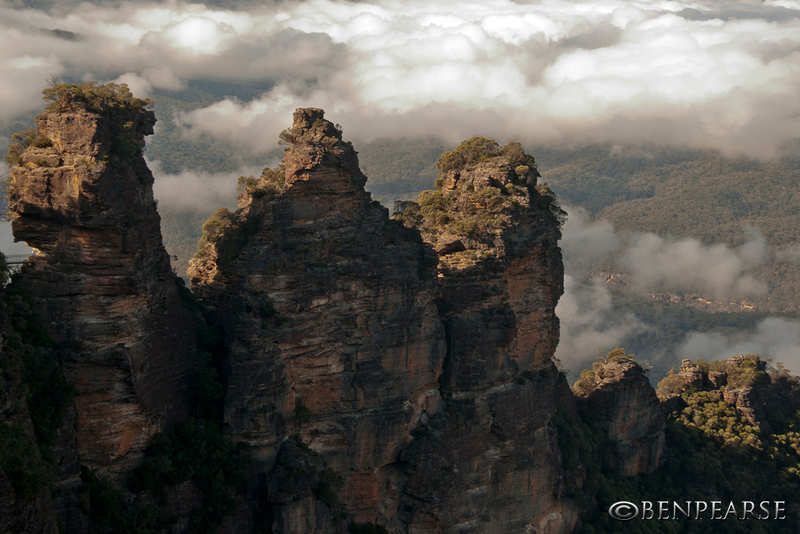 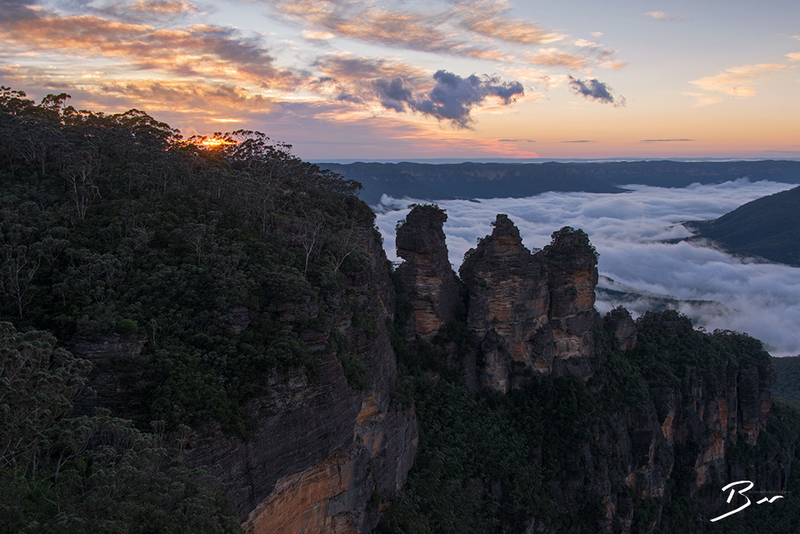 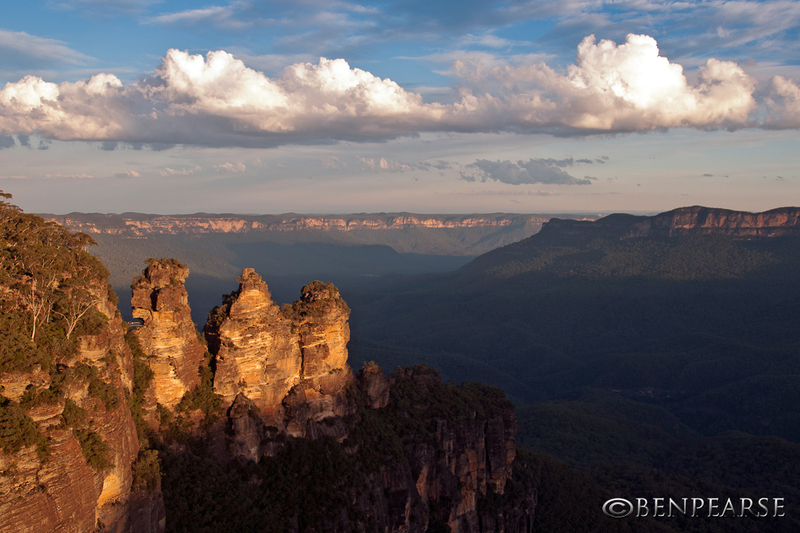 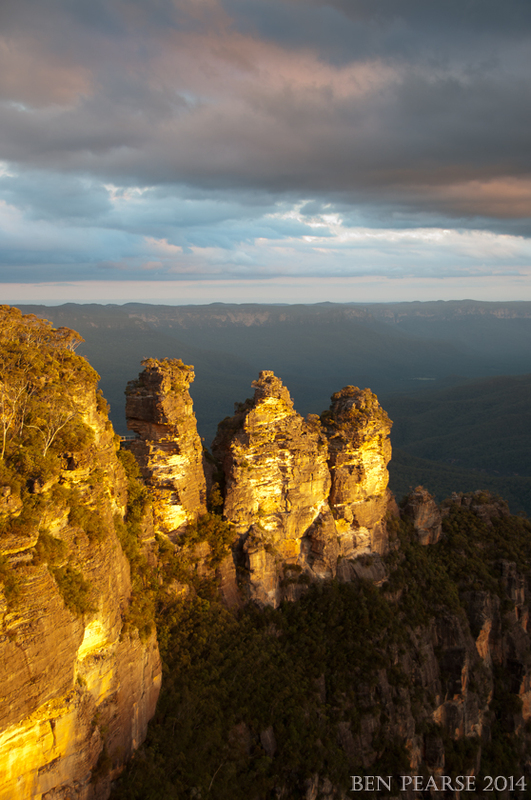 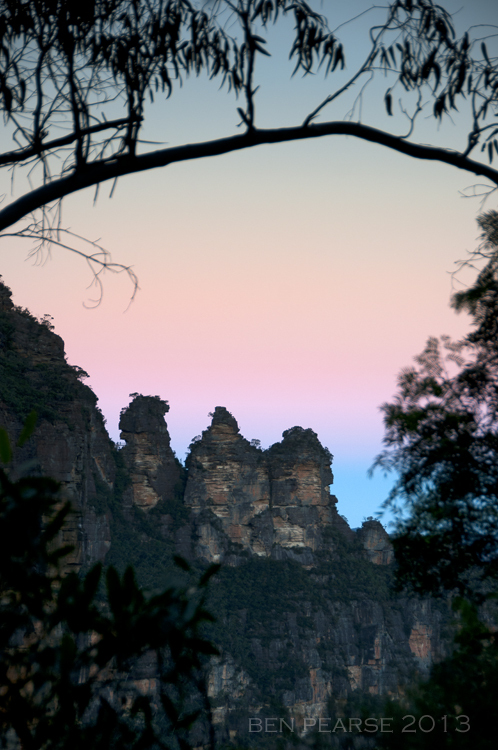 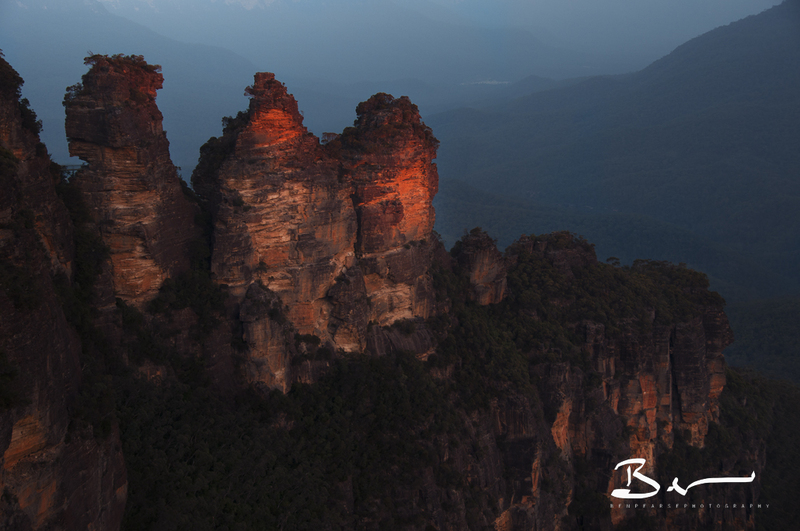 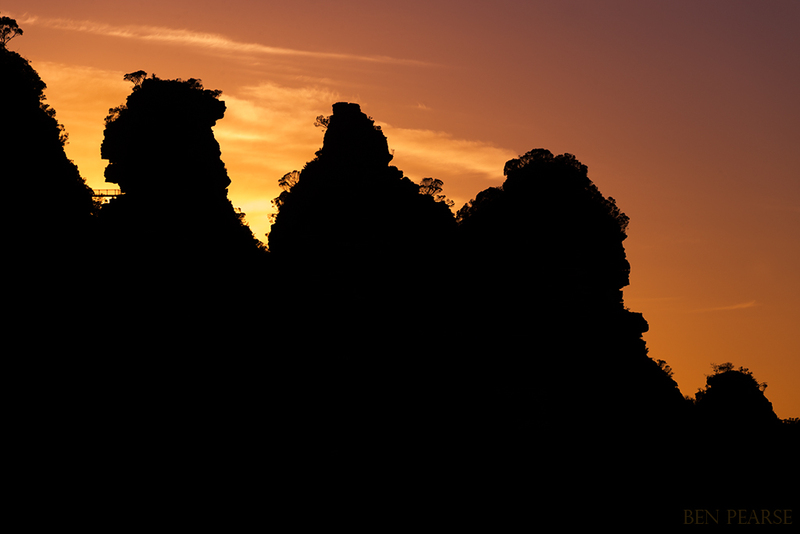 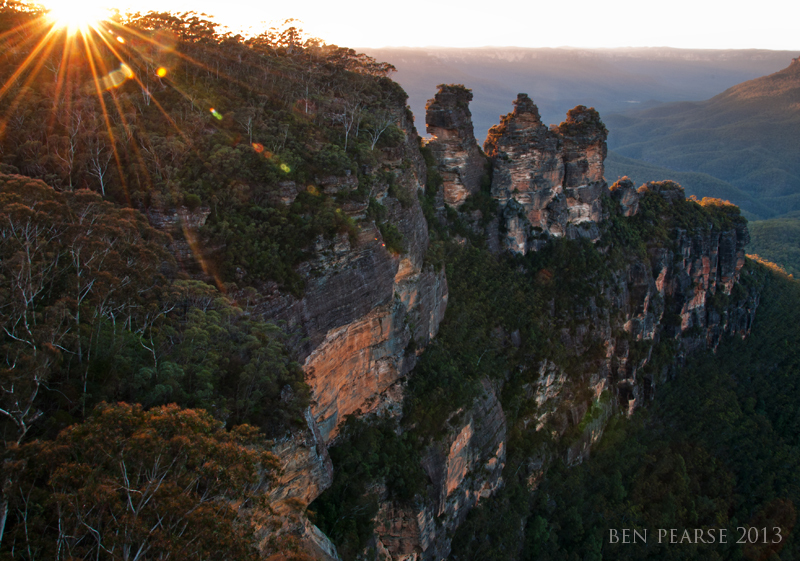 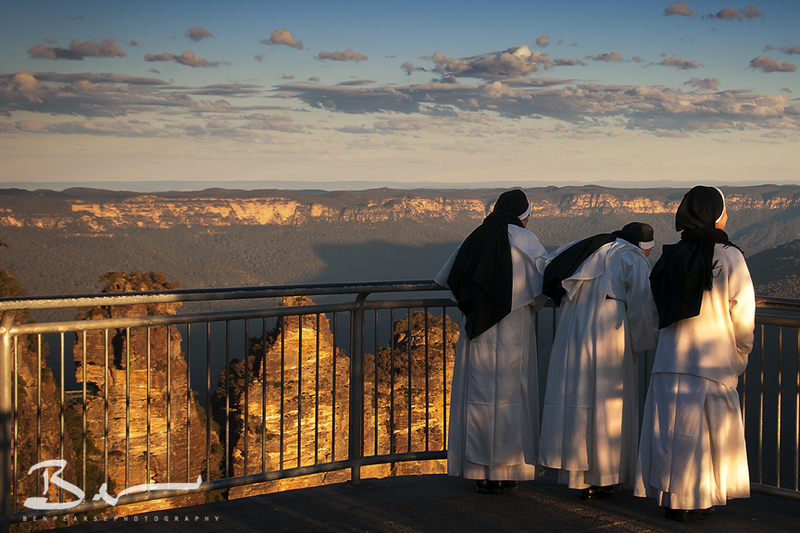 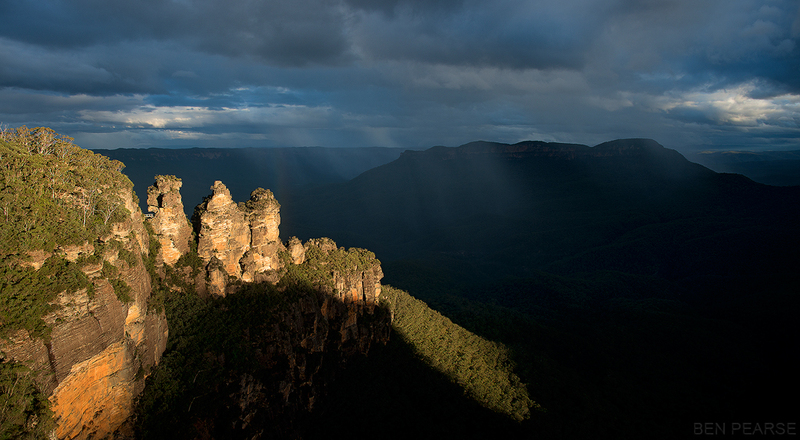 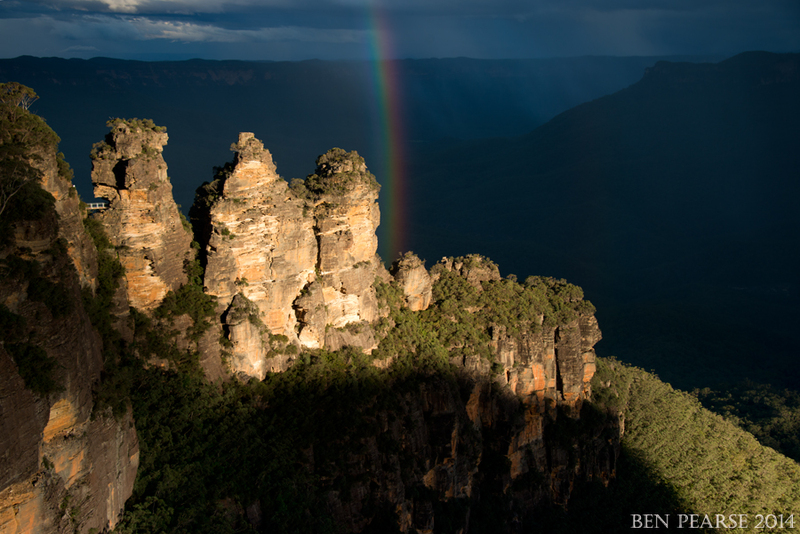 The 3 Sisters is one of Australia’s most iconic landmarks attracting millions of visitors each year. 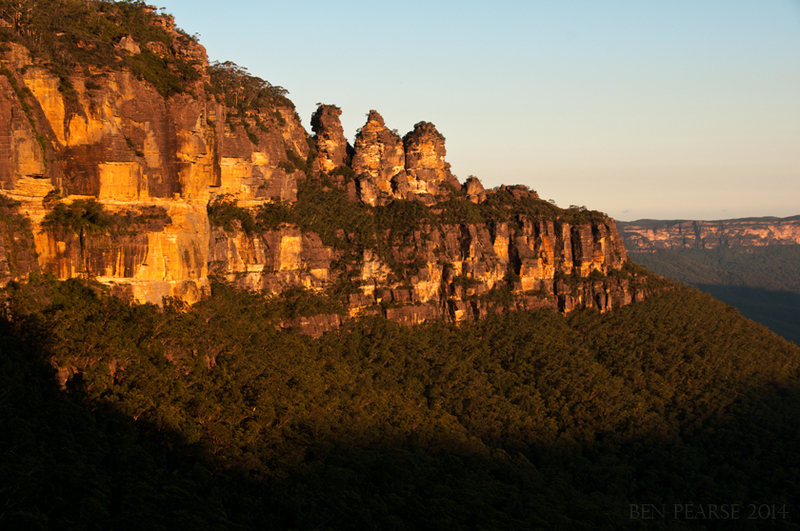 In my younger days I worked as a climbing guide and have taken hundreds of people to the summit of these unique sandstone formations, unfortunately you are no longer allowed to climb these peaks. 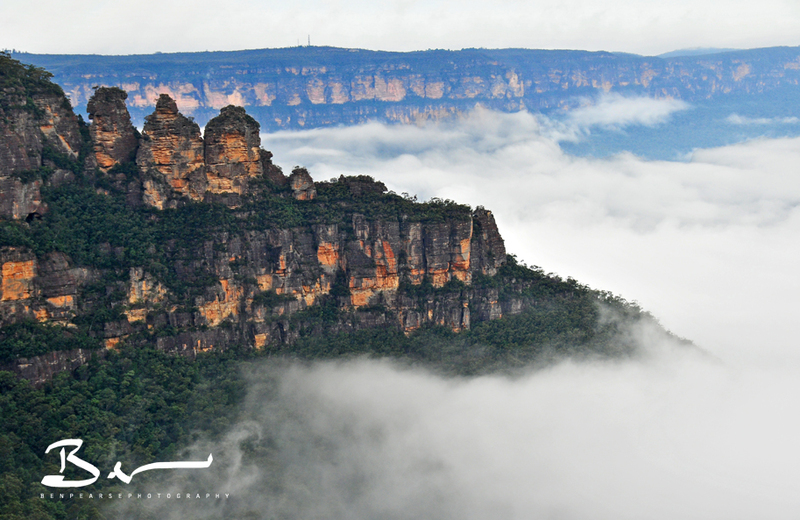 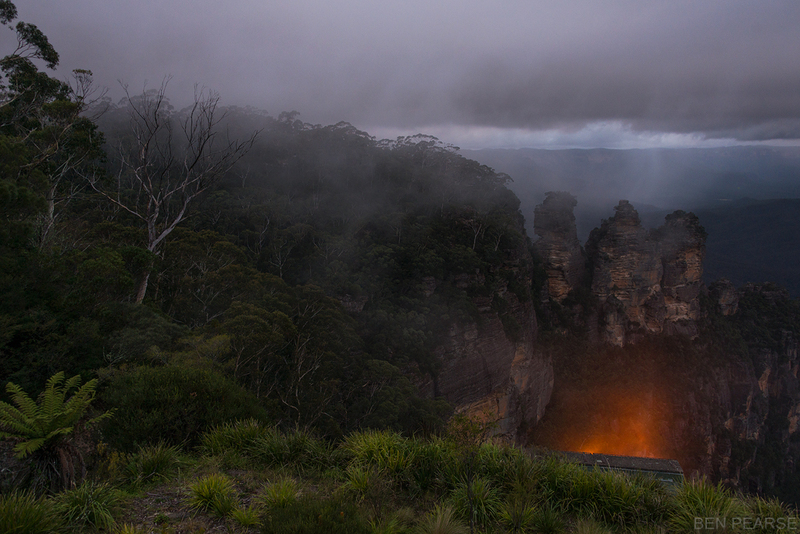 Rising out of the Jamison valley in the world heritage listed Blue Mountains, they project a unique and breathtaking image to the many who flock to witness their beauty. 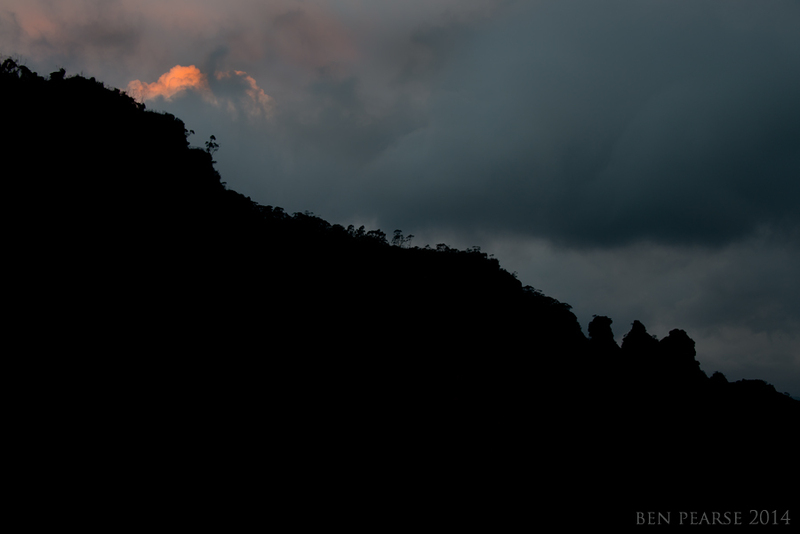 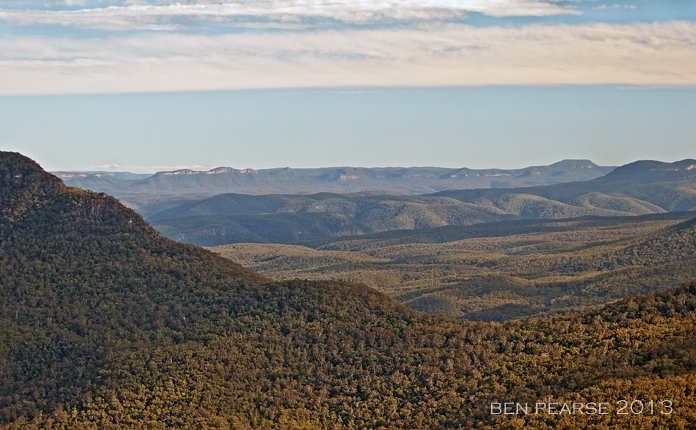 The native Aborigines of Australia call them Meehni (922 m), Wimlah (918 m), and Gunnedoo (906 m) and have their own legend of how they came to be here. 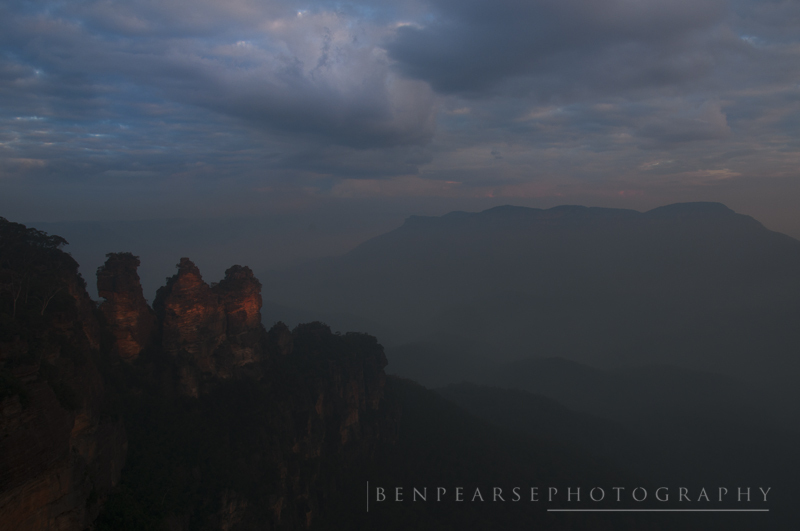 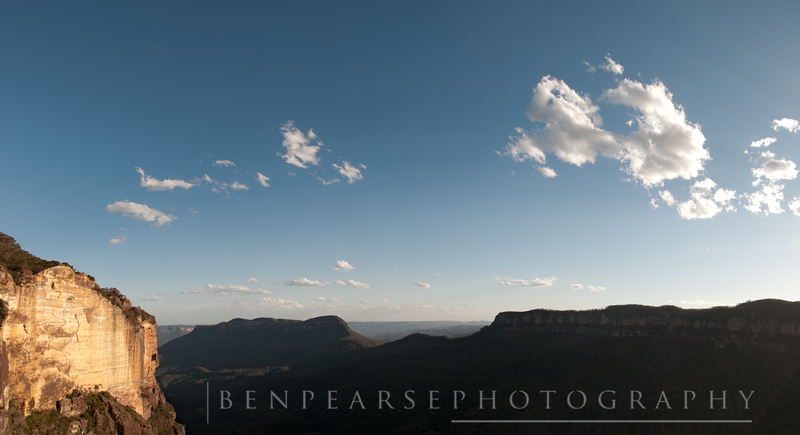 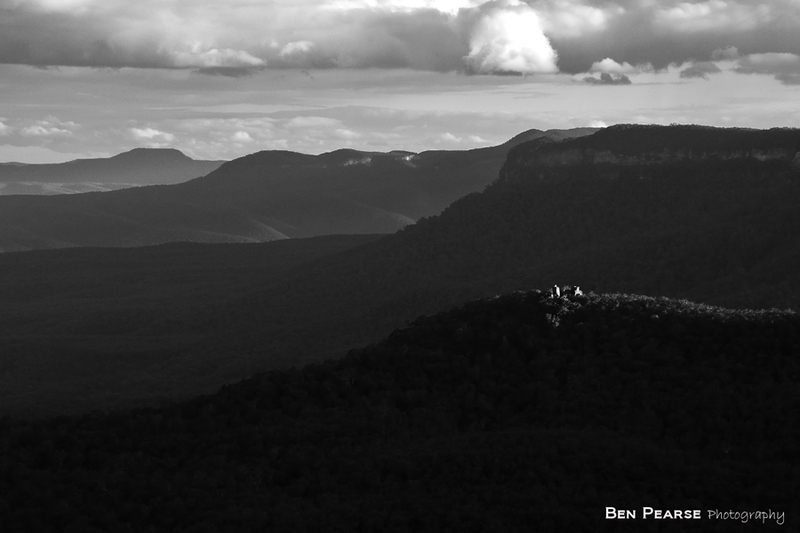 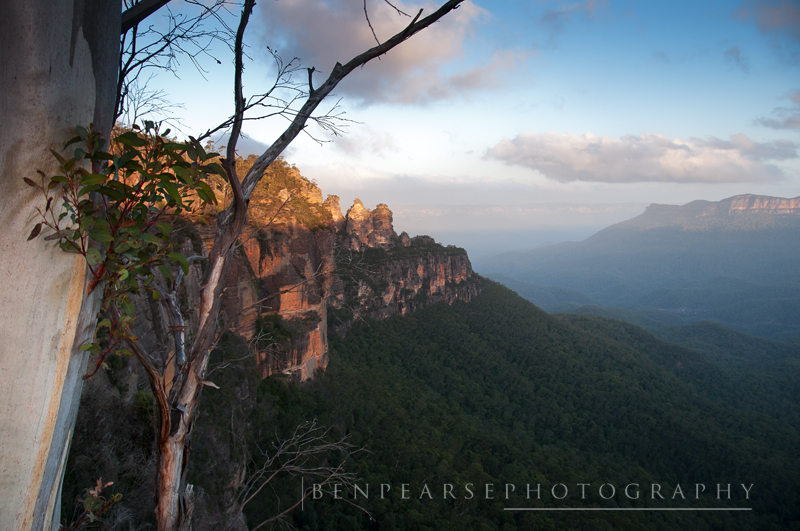 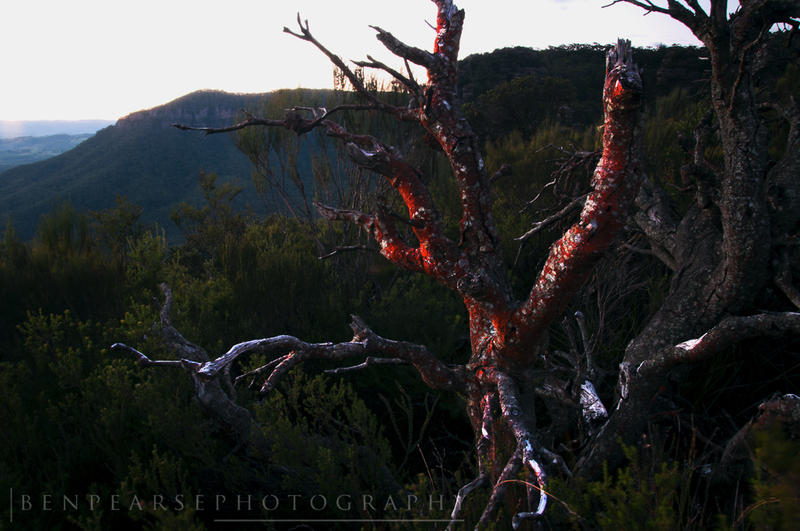 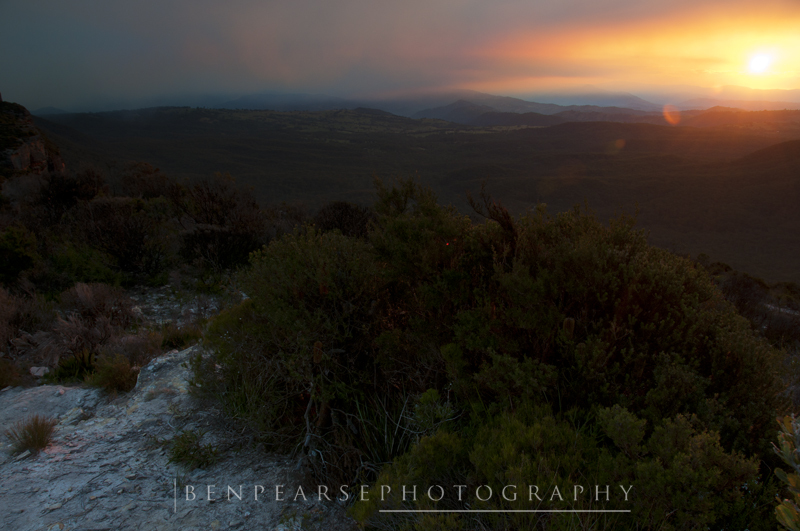 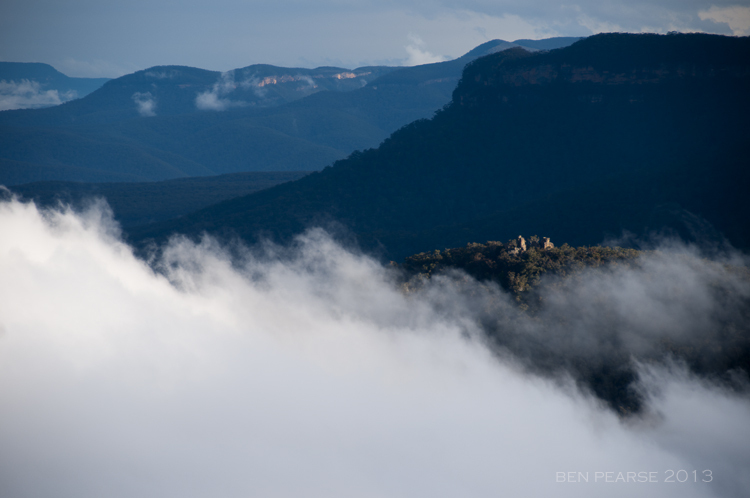 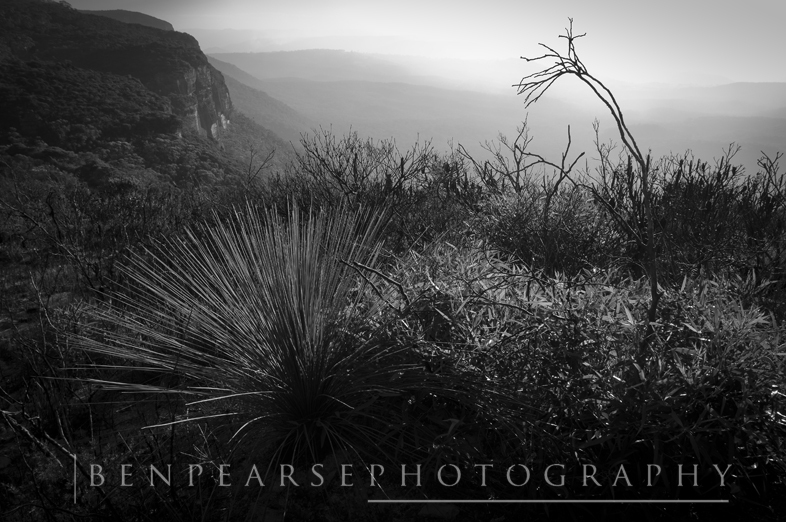 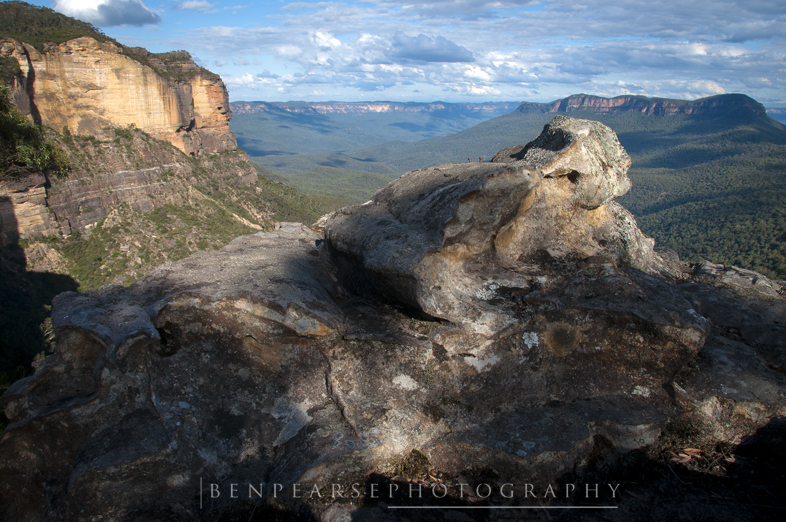 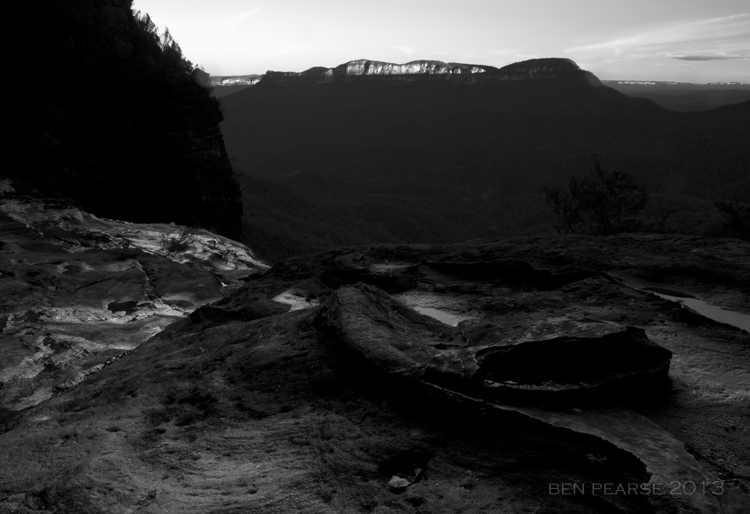 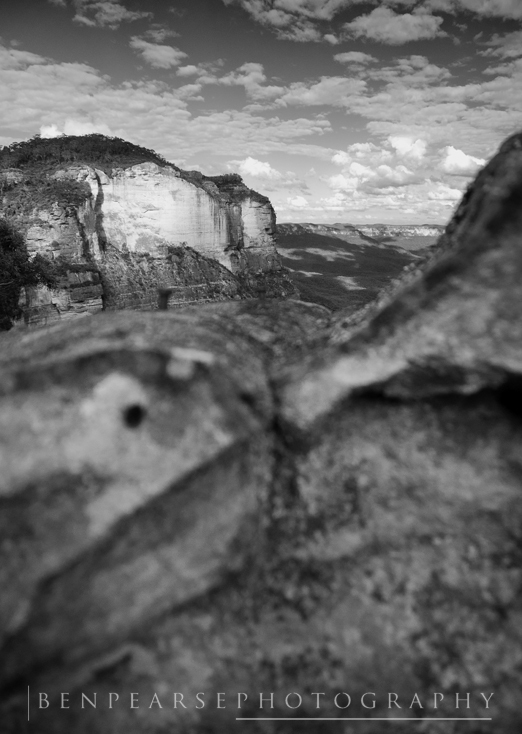 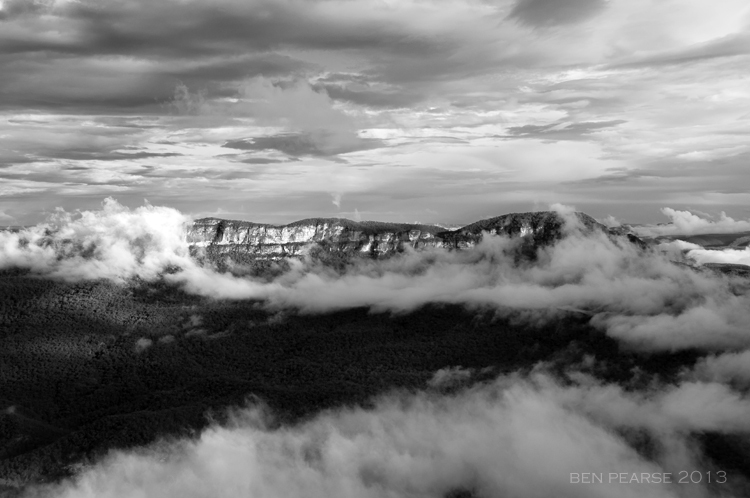 As with many of the popular lookouts and vistas that populate the Blue Mountains I often look for a composition or a take on the scene that I haven’t seen before. 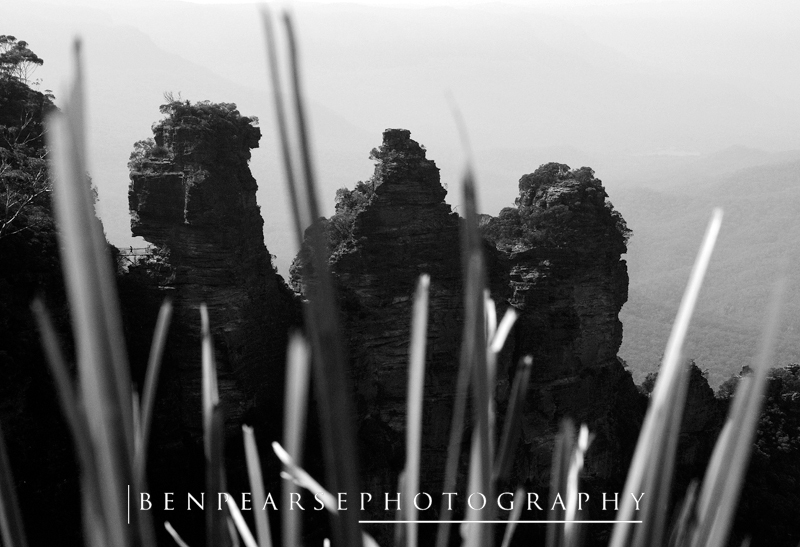 I constantly challenge myself to come up with different and unique ways to capture and express the iconic 3 sisters to the viewer. 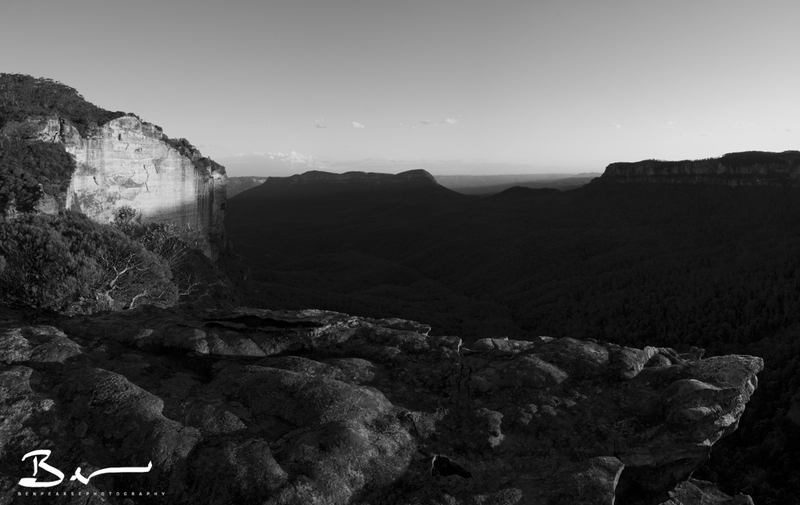 Photographers will often say about a popular tourist destination, “ahh that has been shot to death, don’t shoot that”. 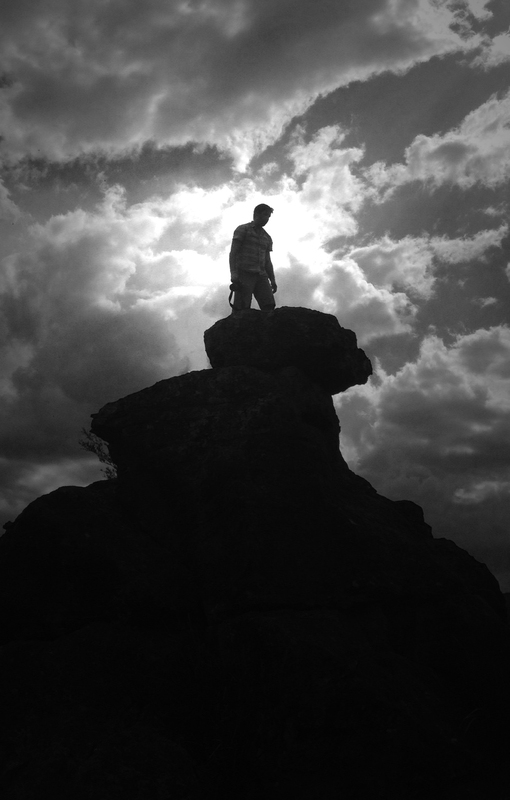 As is often the case that just encourages me to do the opposite and i’ll work hard to represent a common scene in a new light…….my light, my way of seeing. 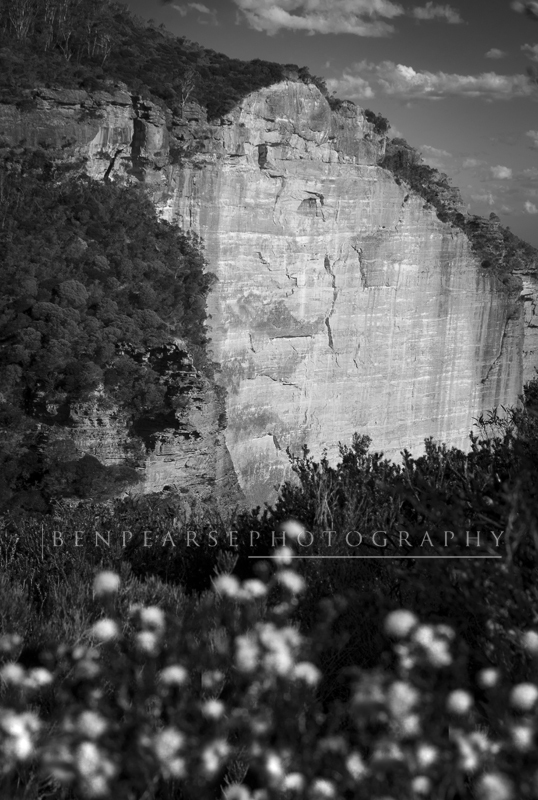 I like to convey a scene the way I see it through my lens, and we all see things quite differently.With the above shot I was fascinated by the three weeds growing which seemed to be mimicking the real sandstone structures in the scene. 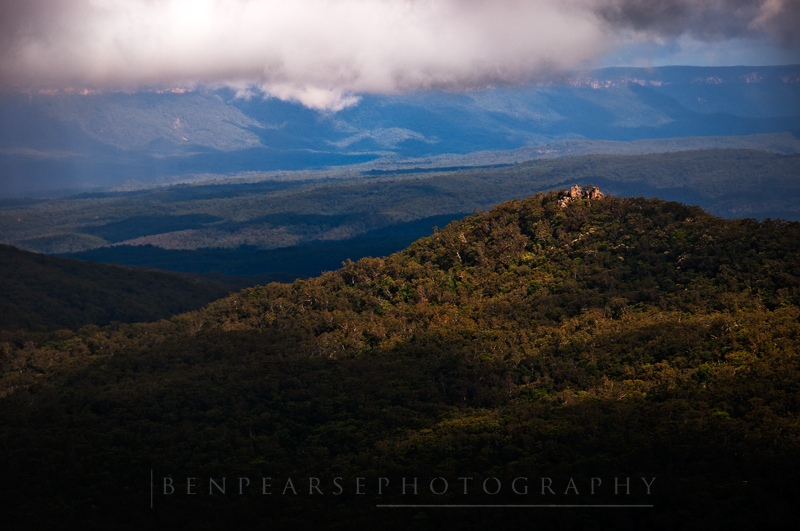 As I live just up the street i’m often here at the lookout just taking in the view, often not photographing anything but rather watching as the light transforms the view into something different. 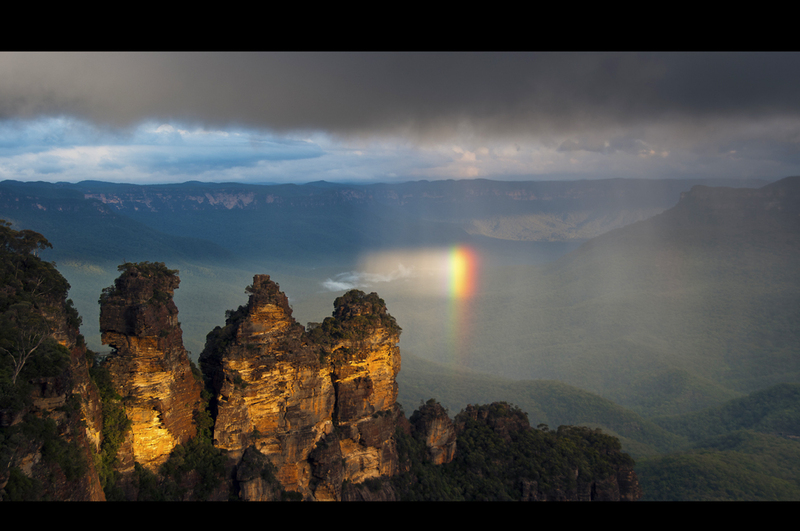 I have been here allot and to me it’s always different, the mood, the weather, the light………it looks different everytime. 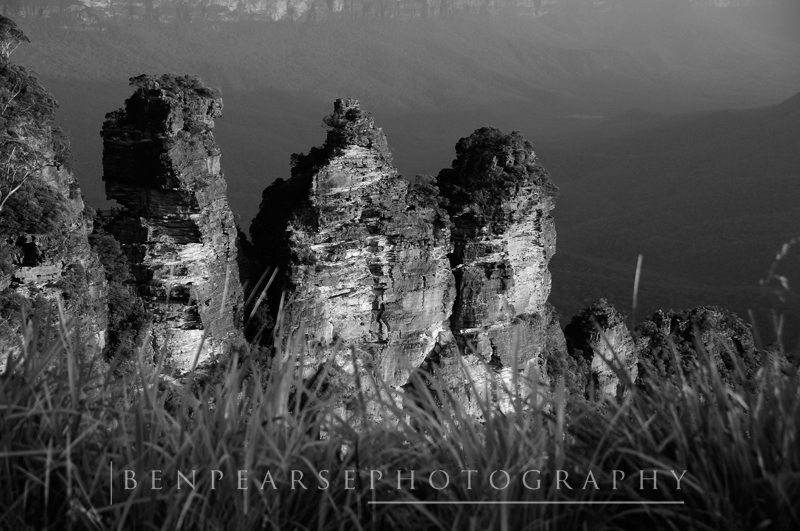 I took one of my most recognizable and best selling shots here. 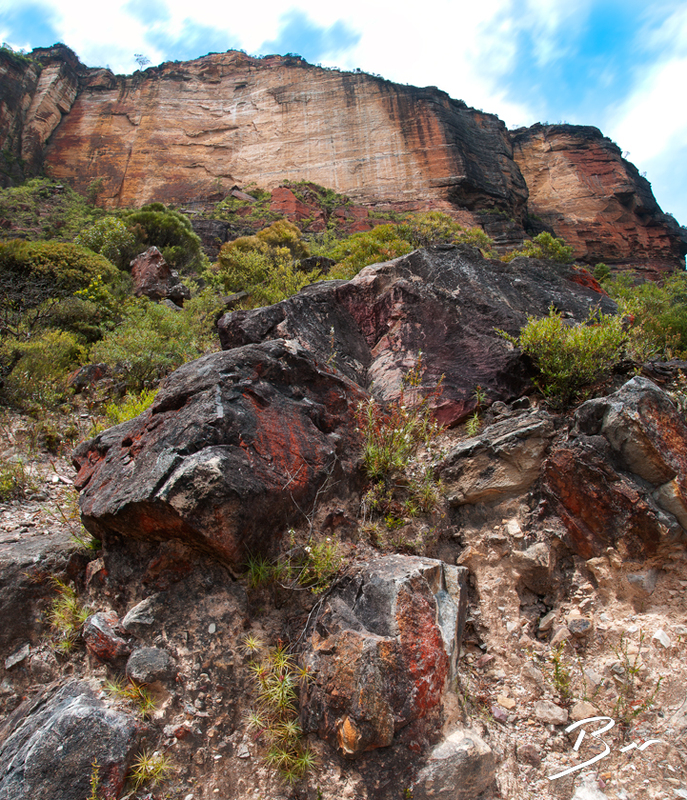 If you haven’t been to look at these amazing sandstone rock formations I would really recommend them for sure. 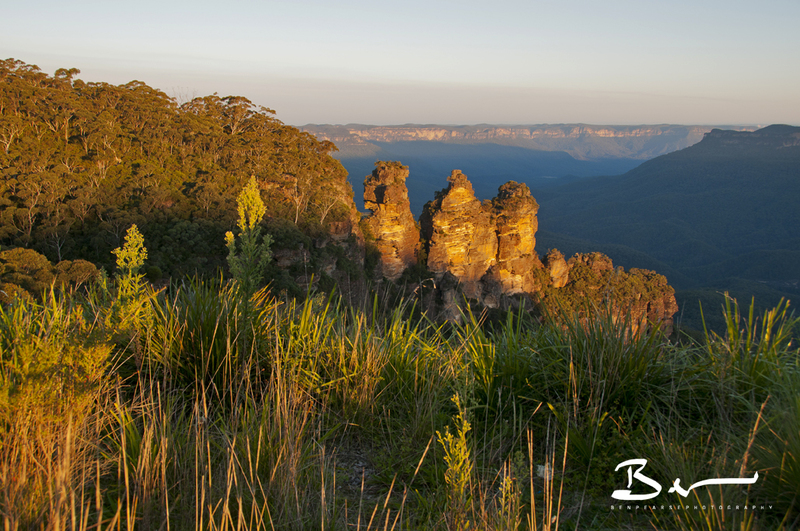 As with any popular tourist destination or location, there is a reason people go in search of it………it simply looks great!